Tagashige Mori (b.1922) was born in the village of Kaneda in Ehime Prefecture, where he grew up surrounded by nature, and at the age of 13, soon after entering high school, he took up oil painting classes. 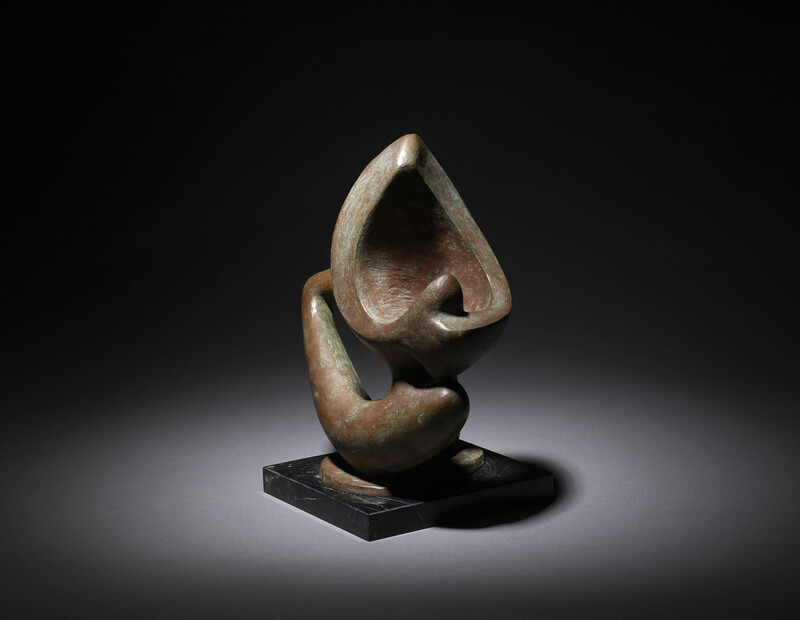 Mori was first captivated by sculpture after seeing works by Rodin in an art book held at the school library and subsequently entered the sculpture department of Tokyo University of Arts in 1940. 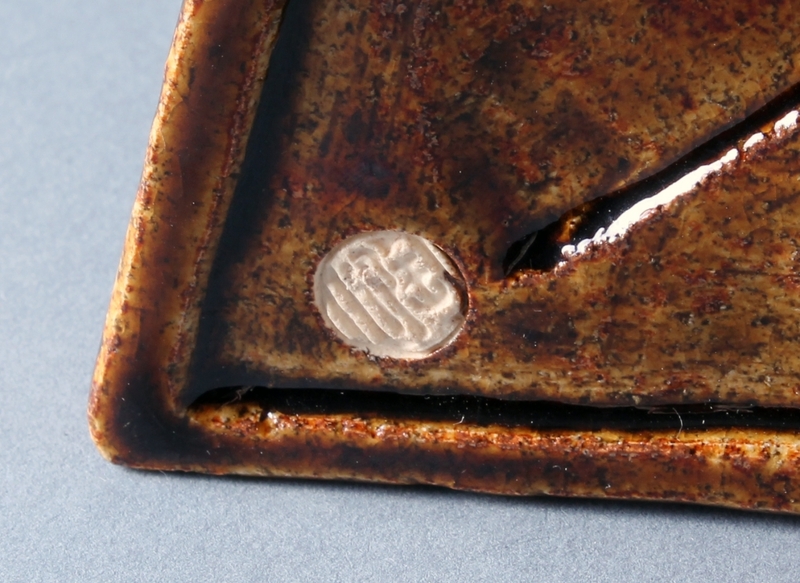 His professors were the renowned sculptors Fumio Asakura (1883-1964) and Kenhata Daiyume (1880-1942) and he was soon shortlisted for the 6th Shin Bunten Exhibition (Fine Arts Exhibition of the Ministry of Culture) before graduating in 1944. The following year Mori returned to Ehime where he taught art at the local high-school for four years before moving back to Tokyo to resume his own career and establish a studio in Bunkyo-ku, an area famous for its artistic inhabitants and the Akagi Plaster Sculpting studio. In 1952 he joined the influential Jiyū Bijutsuka Association an art group originally co-founded in 1937 by Hasegawa Saburo (1906-1957), Hamaguchi Yōzō (1909-2000) and Yamaguchi Kaoru (1907-1968) with the intention of actively promoting Japanese avant-garde and abstract art. The next year Mori attended and was greatly influenced by the Italian Modern Art Exhibition held in Tokyo and this inspiration solidified his direction towards Abstract Expressionism. In 1955 he also joined the Tokyo Art Club broadening his connections and enabling him to participate in exhibitions throughout Japan along with other prominent Japanese modern painters and sculptors such as Masao Tsuruoka (1907-1979), Minami Tada (1924-2014), Shū Eguchi (b.1932). Subsequently Mori’s works regularly adorned the covers of leading Japanese art magazines such as the National Museum of Modern Art Newsletter and the Bijutsu Techo. After more than a decade of continuous creativity, Tagashige Mori decided to travel and in 1963 he left for Los Angeles with fellow abstract artists Yoshihige Furukawa (1921-2008) and Shigeaki Hayakawa (b.1924). His travels took him as far afield as Mexico before moving on to New York where he attended the World Artists Meeting and visited locally based influential artists such as Genichiro Inokuma (1902-1993), Teiji Takai (1911-1986) and Seymour Lipton (1903-1986). 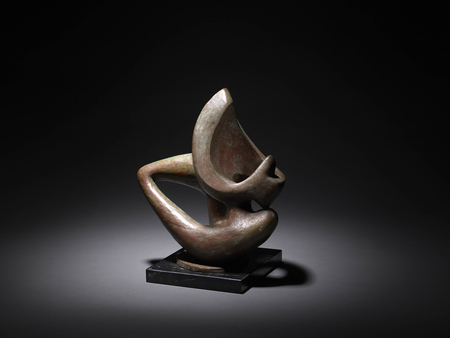 Next was Europe, considered by Mori as the birthplace of modern sculpture. He traveled extensively visiting almost all the major cultural centres finishing in Cairo where he became fascinated by the clean shapes of Egyptian art, the pyramids and the desert landscape. This fascination led Mori to create a piece entitled Memories of the Sand No.1 in 1965 and in 1968 he held a solo show of sand inspired work at the Nihonbashi Akiyama Gallery, Tokyo. On returning to Japan Mori settled in Matsuyama in Ehime Prefecture yet continued to maintain his connections with the Tokyo art circles and was greatly supported by influential Modern art critics such as Fujio Yagyuu (1925-2005) and Itsuki Kubo (dates unknown). At around this time he met the Gutai artist Teruyuki Tsubouchi (1927-2005) and they participated in a series of group shows. This collaboration led to one of their most ambitious projects, the 1st Ehime Open-air Art Exhibition in Matsushima held in 1969 to promote modern art to the local public. The importance of this exhibition was marked by the participation of the renowned art critic and curator of the Kanagawa Prefectural Museum of Art, Seiichi Sasaki (1923-1997). This initial meeting between Sasaki and Mori led to a creative long-term friendship punctuated by meetings with artists and discussions around art, culminating in a trip to France in 1976. Whilst in Paris, Mori wrote a series of essays entitled From Montmartre’s Hill which he illustrated with collages and drawings. 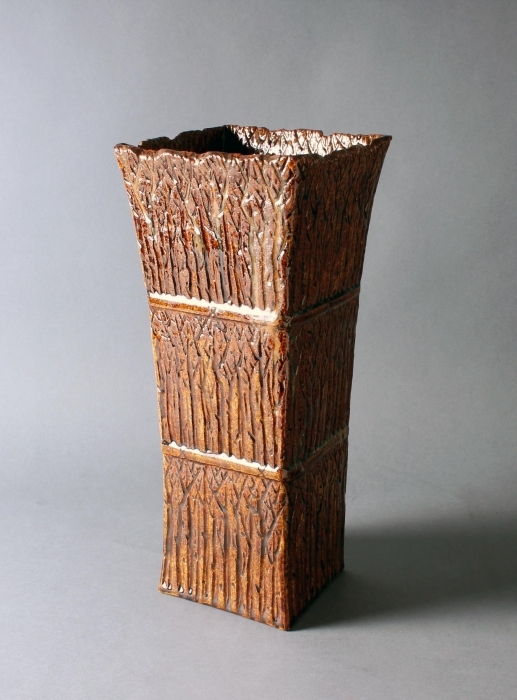 Tagashige Mori was active into old age with his work of the 1990’s being predominantly inspired by the concept of living in harmony with the blowing wind. 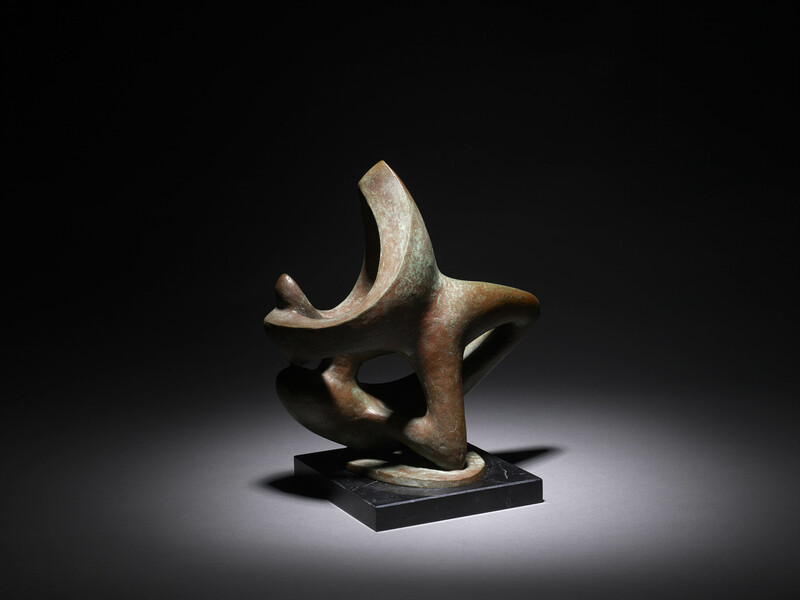 True to his original inspiration, he continued throughout his life to honour his connection with nature, creating sculpture which was expressed in the strong and clear language of abstract form. F0r a larger version bearing the same title see: Zōkei shikō no kisekii – Mori Takashige chyōkoku no 70 nen (The path of sculpting thought – Seventy years of sculpture by Mori Takashige), Kuma Museum of Art, 2007, p.29, pl.4. SKU: 7322. Categories: Objects, Sculpture, Works of Art.